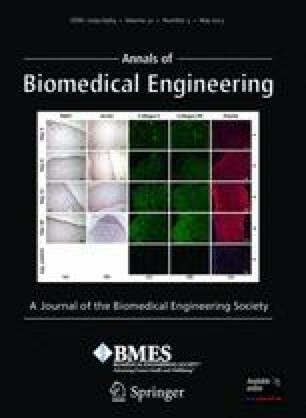 Porous architecture has a dramatic effect on tissue formation in porous biomaterials used in regenerative medicine. However, the wide variety of 3D structures used indicates there is a clear need for the optimal design of pore architecture to maximize tissue formation and ingrowth. Thus, the aim of this study was to characterize initial tissue growth solely as a function of pore geometry. We used an in vitro system with well-defined open pore slots of varying width, providing a 3D environment for neo-tissue formation while minimizing nutrient limitations. Results demonstrated that initial tissue formation was strongly influenced by pore geometry. Both velocity of tissue invasion and area of tissue formed increased as pores became narrower. This is associated with distinct patterns of actin organisation and alignment depending on pore width, indicating the role of active cell generated forces. A mathematical model based on curvature driven growth successfully predicted both shape of invasion front and constant rate of growth, which increased for narrower pores as seen in experiments. Our results provide further evidence for a front based, curvature driven growth mechanism depending on pore geometry and tissue organisation, which could provide important clues for 3D scaffold design. The online version of this article (doi: 10.1007/s10439-013-0748-z) contains supplementary material, which is available to authorized users. We would like to thank Dr R. Tare and the Bone and Joint Research Group in Southampton for their assistance and for providing the cell sample. Dr C. Catt was supported by Symbiosis project funding, EPSRC EP/F032994/1. Bidan C. M., K. P. Kommareddy, M. Rumpler, P. Kollmannsberger, Y. J. M. Bréchet, P. Fratzl, and J. W. C. Dunlop. How linear tension converts to curvature: geometric control of bone tissue growth. PLoS ONE 7(5): e36336, 2012. doi: 10.1371/journal.pone.0036336.